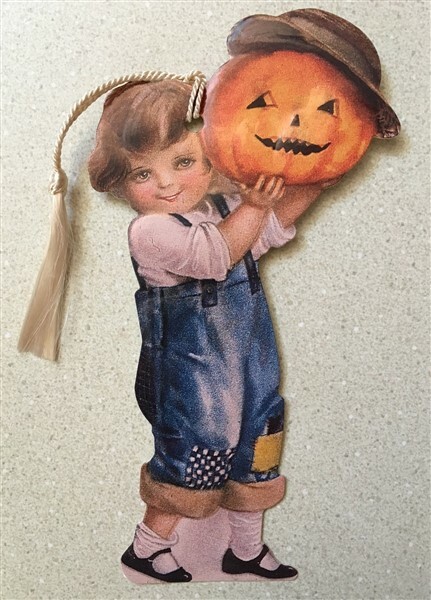 Vintage style embossed bookmark featuring a little girl with her Jack-o-lantern! These make a great fall gift for a book lover or a child you'd like to encourage. The back-side has a place for to and from.